home › posts › 10 tree houses you will wan... ten trees planted for every item purchased. If you weren’t lucky enough to have your own tree house as a child, take heart. At tentree, we believe tree houses are meant for everyone. 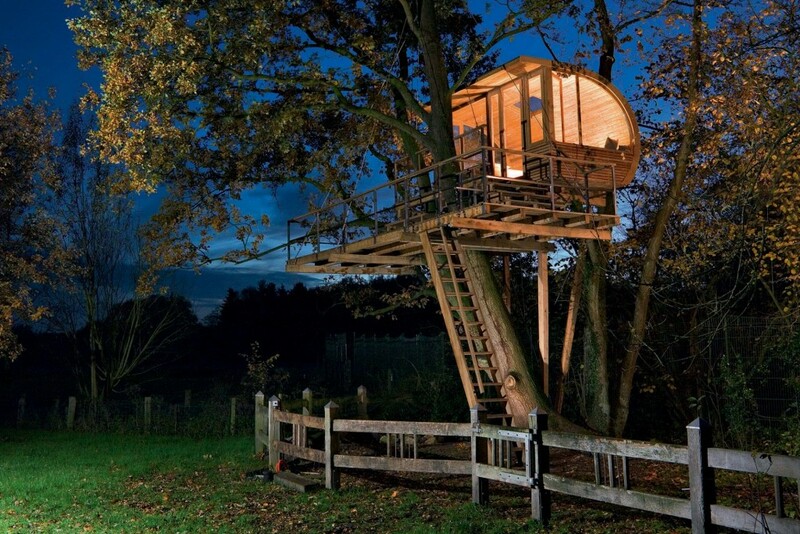 Here are ten tree houses that your adult self would be delighted to play in. 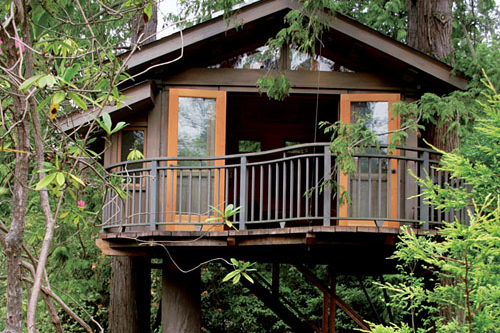 This tree house, held up by red cedars and tucked away in greenery, is the perfect hideout. It has the look of a classic tree house, but don’t let that fool you. It comes equipped with electrical power, an alarm system, and temperature control. The upper level houses a workspace with a glass ceiling and a view that will surely inspire you. 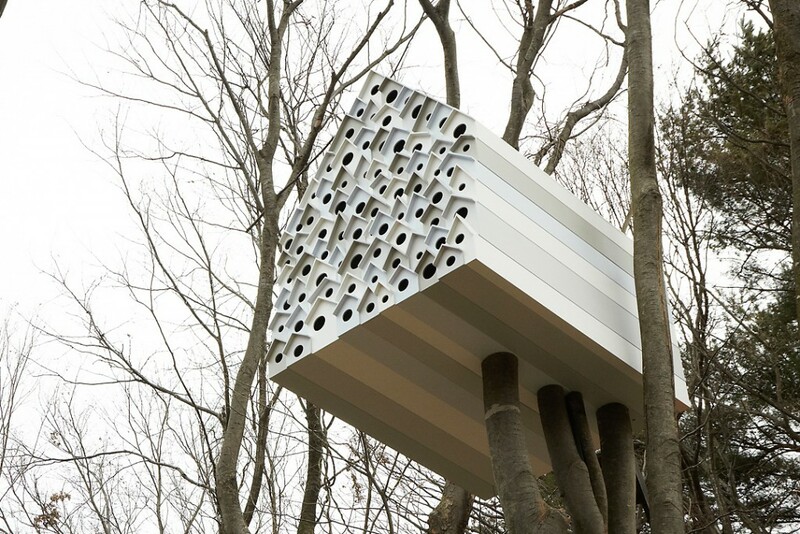 In order to encourage a connection with nature, this tree house was built for the Ando Momofuku Center in Japan. It houses 78 bird apartments on one side, and on the other side, there is an entrance for humans, who can peer into the homes of the birds and observe their behaviors. Finally, a tree house that understands your adult self and offers you brews while you’re nestled in foliage. The Treehouse Brewing Company is near Mohican State Park and brews and serves small-batch beer. This tree house was named for the alder and oak tree it was constructed between. Its curved roof is the ideal place to curl up under to take in the scenery and its two-level terrace lends itself to outdoor dining. 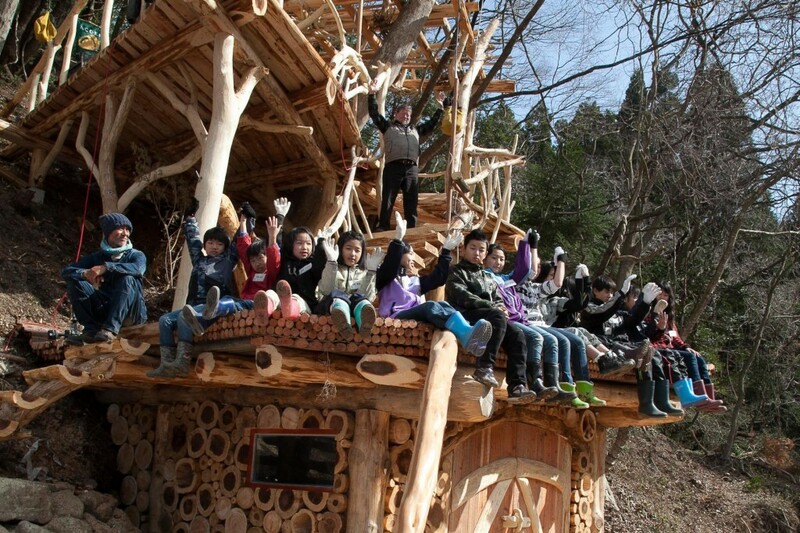 Takashi Kobayashi, known as the “Tree House Guru,” designed the “Tree Dragon” as part of a woodland classroom for the children of Higashi-Matsushima who were affected by the tsunami that occurred in 2011. The aim of the tree house is to foster a positive relationship between the students and nature. If you find yourself in the mood to splurge on an adventurous, romantic getaway, you can book The Eagle’s Nest in Normandy and fulfill your dreams of sleeping in a tree house. The dwelling, which is part of the Château de Canon property, sits a lofty 72 feet off the ground and offers a stunning view. 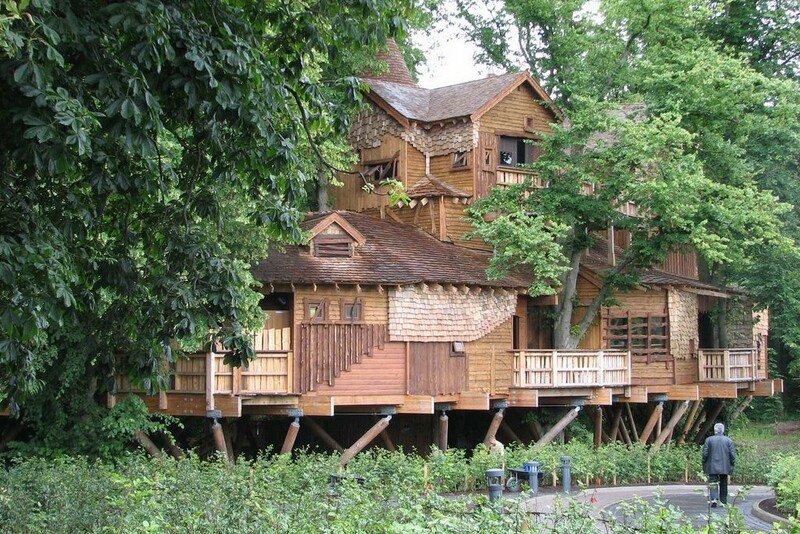 Built amongst a copse of lime trees, the Alnwick Garden Treehouse is a site to behold. 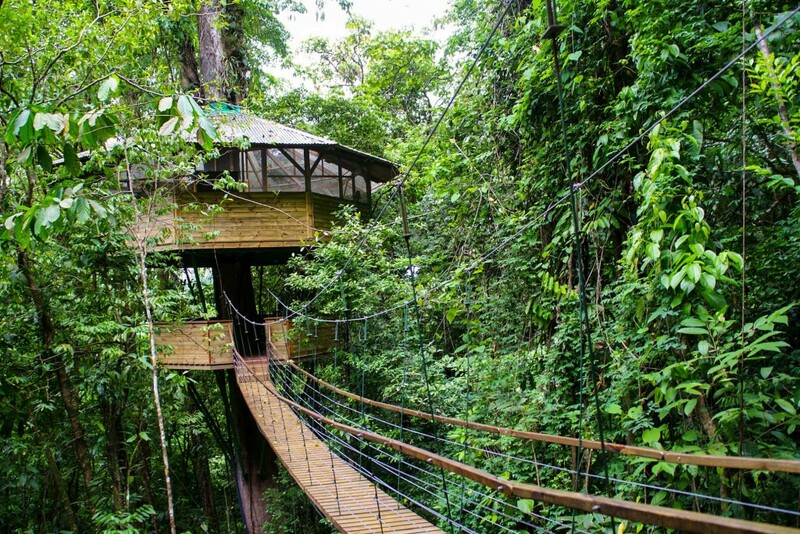 The multi-story tree house features walkways in the sky and rope bridges. Once you’ve worked up an appetite from all of the exploring, you can find your way to the Treehouse Restaurant, which serves up locally sourced fare in front of a log fireplace. 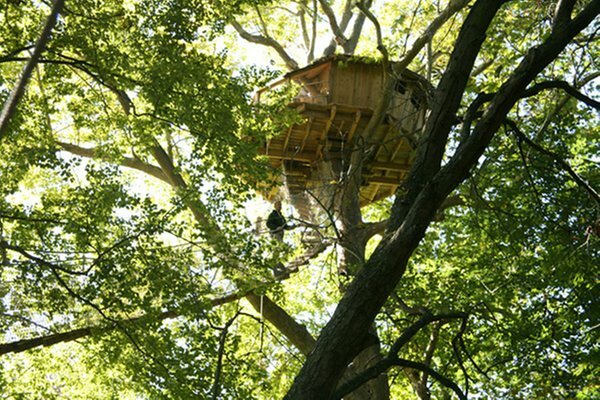 8) Bialsky Tree House - Bridgehampton, N.Y. 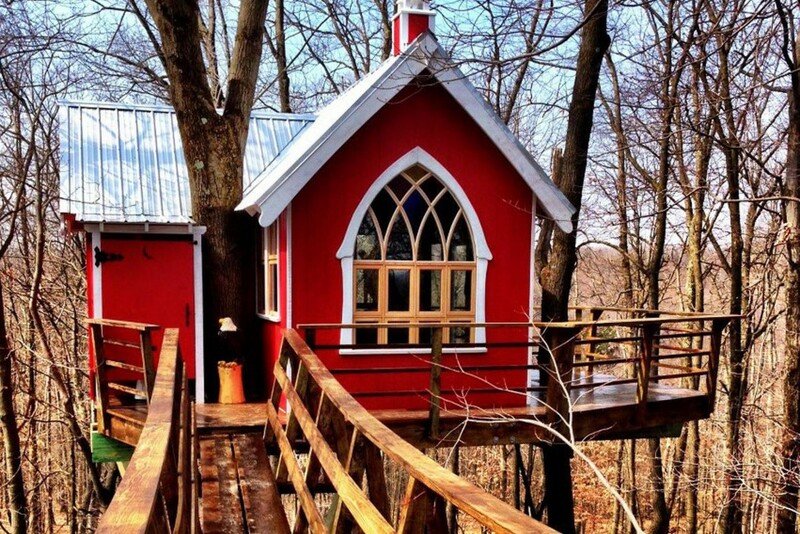 This tree house, in its quaint and fantastical glory, evokes imagery from Tolkien’s novels. 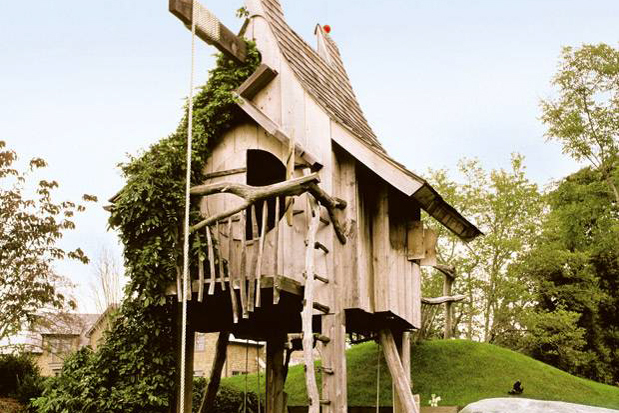 It is made of recycled wood and includes a rope swing where you can while away summer days. 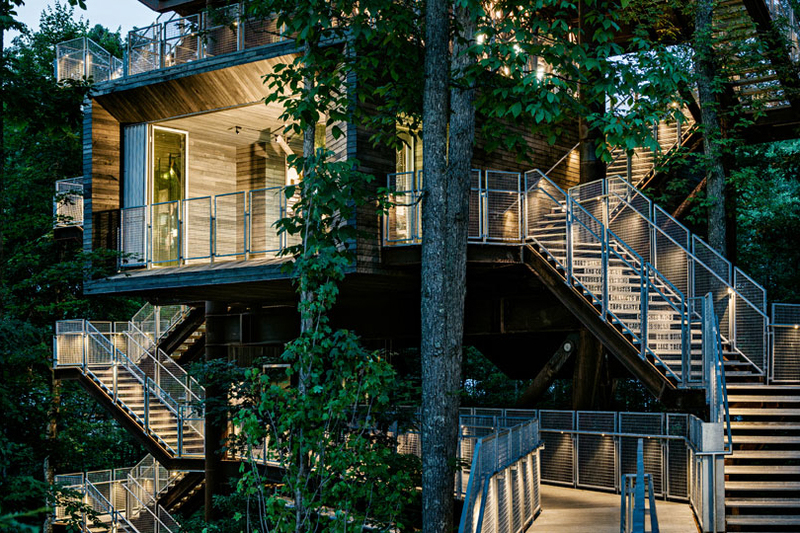 This innovative tree house was built to provide an educational experience and an understanding of tree ecosystems and green design through interactive exhibits. It generates and manages its energy, water, and waste by incorporating green building elements, such as photovoltaic panels, wind turbines, and a water cleansing system. It is certainly a fantastic model of sustainable building. Finca Bellavista is a sustainable tree house community founded by a couple that bought forested land in Costa Rica to save it from timber harvesting. They transformed the land into a community where a network of zip lines and platforms transport residents around, and there are amenities such as Wi-Fi and cell phone service. A community center houses a dining area and a coffee lounge, and offers movie nights and yoga sessions. If you’re ready to give up your terrestrial life and want to live up in a tree, which is a dream of ours at tentree, this is the ideal place for you. The post 10 tree houses you will want to live in appeared first on tentree.